Sheriff’s investigators have identified a suspect in a 2014 murder case after the man’s DNA matched that of a bloody ski mask found at the scene. 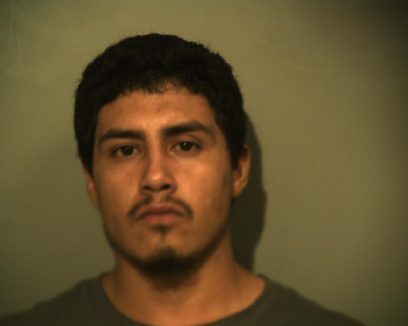 An arrest warrant has been issued for Juan Manuel Alfaro, 25, for capital murder, according to a Hidalgo County Sheriff’s Office news release. Alfaro is currently serving a 50-year prison sentence on an unrelated aggravated robbery charge, according to Texas Department of Criminal Justice records. Alfaro is believed to be responsible for fatally shooting Joaquin Hernandez Delgado, 55, on July 5, 2014 outside an Ivory Street home in rural Edinburg, according to the news release. Witnesses told HCSO investigators that Delgado was shot during an argument between him and multiple suspects about a home invasion. Investigators were able to develop a DNA profile of a suspect from a ski mask found at the scene with traces of blood on it, and the profile matched that of Alfaro in the FBI’s Combined DNA Index System. In 2015, investigators obtained DNA from Alfaro through a body search warrant, which resulted in a positive match to the DNA profile from both the FBI database and the ski mask. The sheriff’s office said the investigation into Delgado’s death is still ongoing and investigators are working to identify other suspects. Anyone with information is asked to HCSO’s Criminal Investigations Division at (956) 383-8114 or its anonymous Crime Stoppers Hotline at (956) 668-8477.